Being a substitute teacher is hard work. 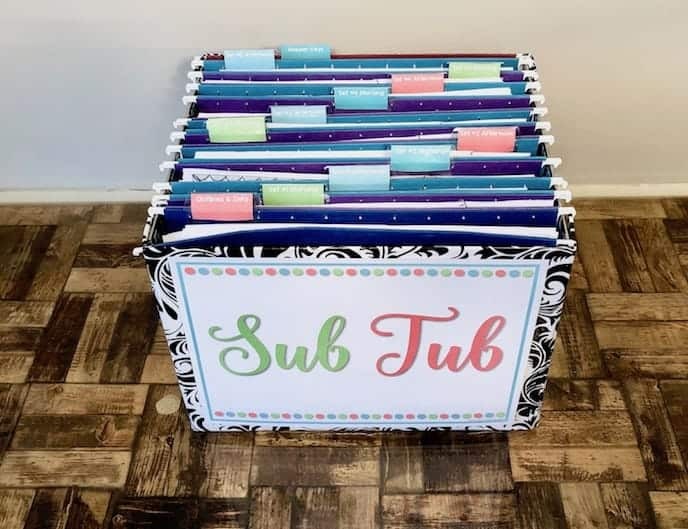 Taking over a classroom teacher’s lesson plans, navigating different buildings, and getting to know (and leaving) staff members are some of the challenges of a career in substitute teaching. Perhaps, the most difficult thing about being a guest teacher, however, is gaining the respect of a classroom full of students that don’t know you very well or at all. 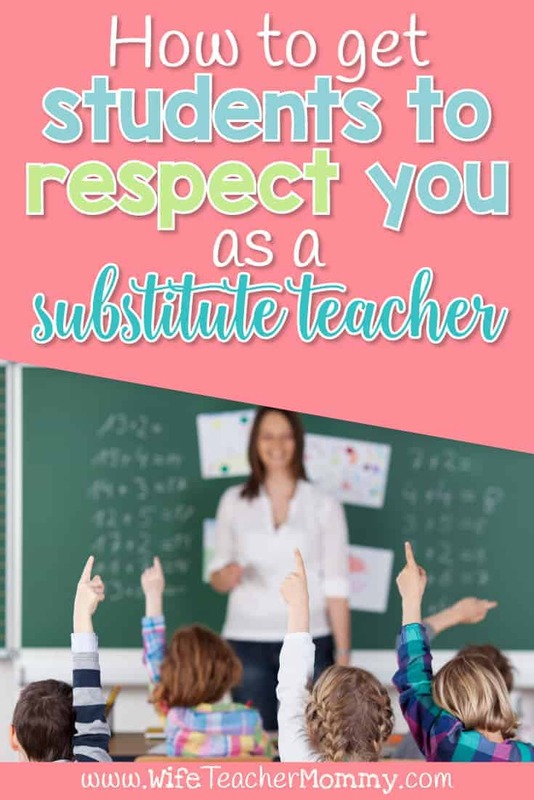 Knowing how to get students to respect you as a substitute teacher will help your sub jobs go smoothly and make your career a lot more rewarding. Try these simple tips to help earn the trust and respect of your students when you sub. Get respect as a substitute by asking students what they want to be called. 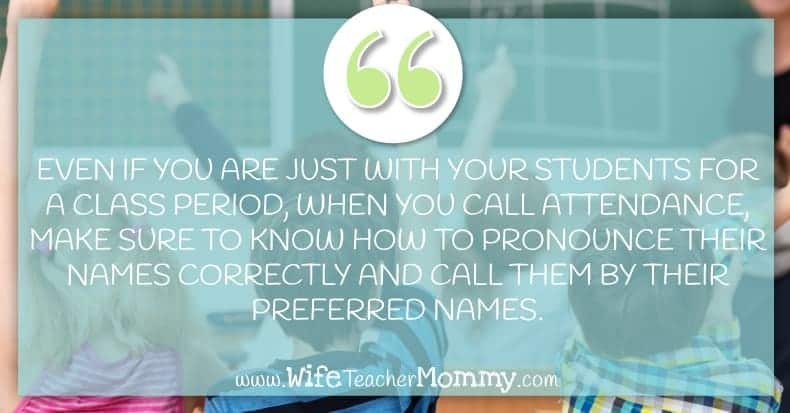 Even if you are just with your students for a class period, when you call attendance, make sure to know how to pronounce their names correctly and call them by their preferred names. Children with unique names may say it’s OK when you call them by a shortened name, but some names are a part of a child’s culture. Calling them by their proper name shows respect for your students and their background. Gain respect as a substitute by introducing yourself. Make sure you leave time to teach the lesson the classroom teacher provides, but don’t hesitate to start the day or class period with your own introduction. 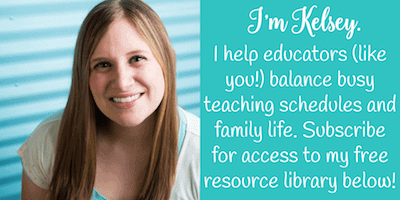 Share your education story and expertise, give a little info about your family, and relate to the content in some way. Be a prepared substitute teacher and have this content planned ahead of time. For example, if you’re teaching Language Arts, share your favorite book and encourage your students to do the same! Share your rules and expectations with students right away. Tell your students you believe they will treat each other and all adults in the building (including you) with respect. This is an important way to encourage students to be on their best behavior for you as their substitute. 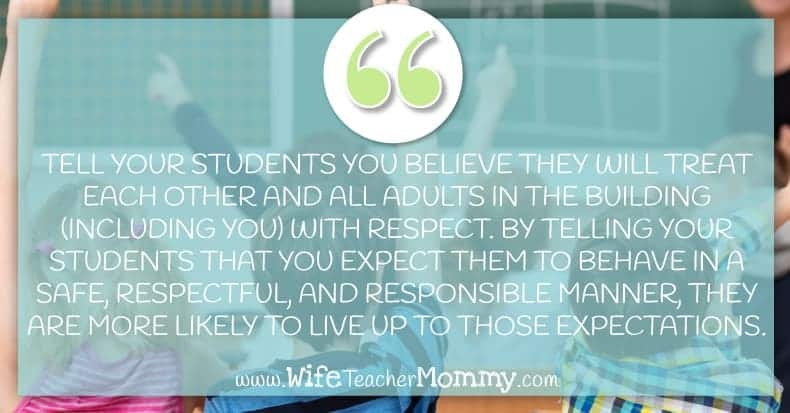 By telling your students that you expect them to behave in a safe, respectful, and responsible manner, they are more likely to live up to those expectations. Answer questions or refer to “experts”. Students can become frustrated when they feel they have to wait for their classroom teacher to return before they can have content related questions answered. Do your best to answer the students questions, but if there is something you are unable to answer, check with another teacher or student for help. If acceptable for the assignment, you may also use online resources to help your students. They’ll be thankful for the assistance. Even if the classroom teacher leaves you a video or independent work for the students to complete, don’t spend the whole day sitting in a desk. By using proximity, you’ll be able to engage with the students and see what they are doing in the classroom. When the students see you being present and active in the classroom, they’ll know how much you care! Being a prepared substitute teacher can help you gain respect from your students. No matter how young they are, students can tell when you are unprepared and flustered. Being prepared can help you gain control of the classroom and their respect. One way to do this is to be armed with materials, so even if inadequate plans are left (or none at all!) you know exactly what to do. 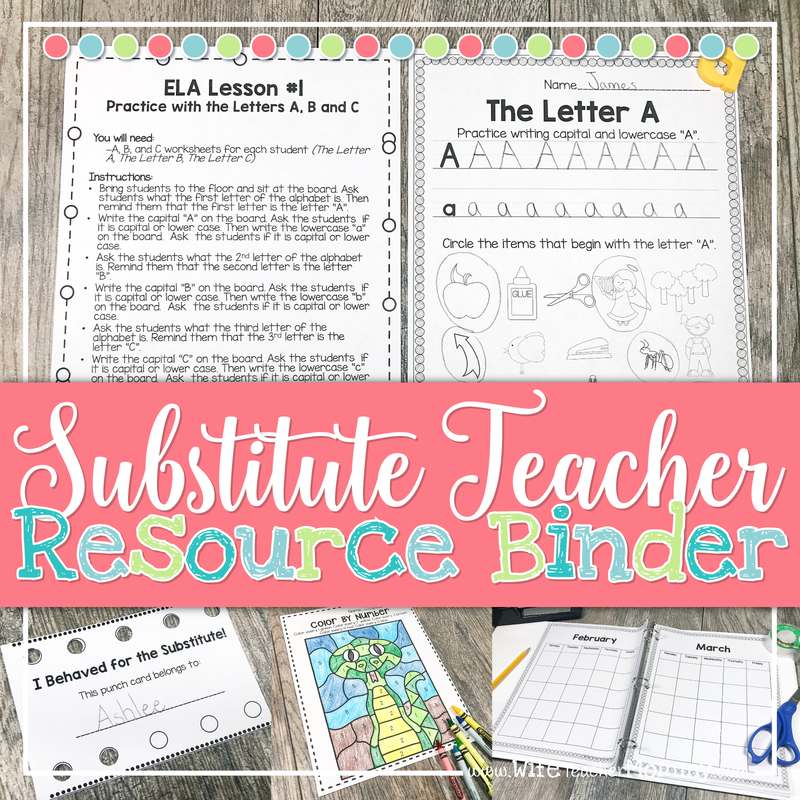 The Substitute Teacher Resource Binder can help you be prepared! It is a comprehensive resource created with substitutes in mind. (I used it myself as a substitute teacher!) This resource includes ready to go lessons with more than a full day of activities for Kindergarten through 6th grades. 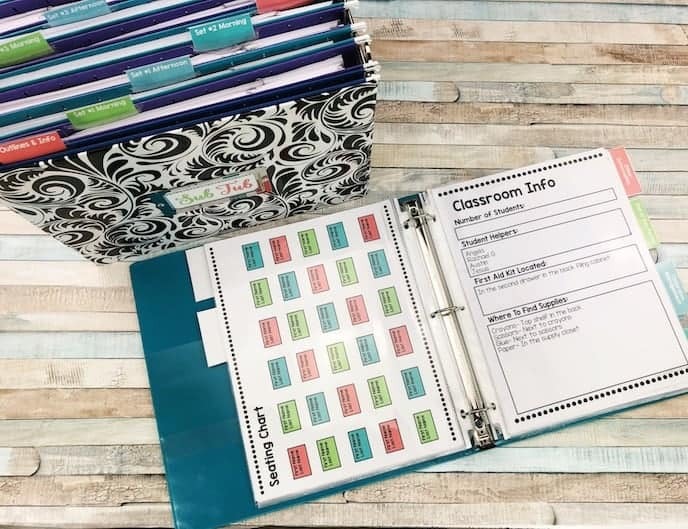 It also includes a planner to keep track of your sub dates, an info sheet to give to teachers to help you get more jobs, substitute punch cards to help you manage the classroom, and much more! You can see even more information in my shop below! By knowing how to get students to respect you as a substitute teacher, the boys and girls in your classroom will not only behave appropriately, they’ll also show you respect and kindness. Building relationships with the students in the classrooms you visit will earn you a reputation as a teacher that deserves respect and respects their students.